While Photoshop is Adobe’s flagship product for photographers, its photo management and editing tool Lightroom is probably even more popular among photographers as it allows them to easily manipulate the color and other aspects of their photos. Today, Adobe is launching a completely new version of Lightroom CC that will come as a shock to current Lightroom users. 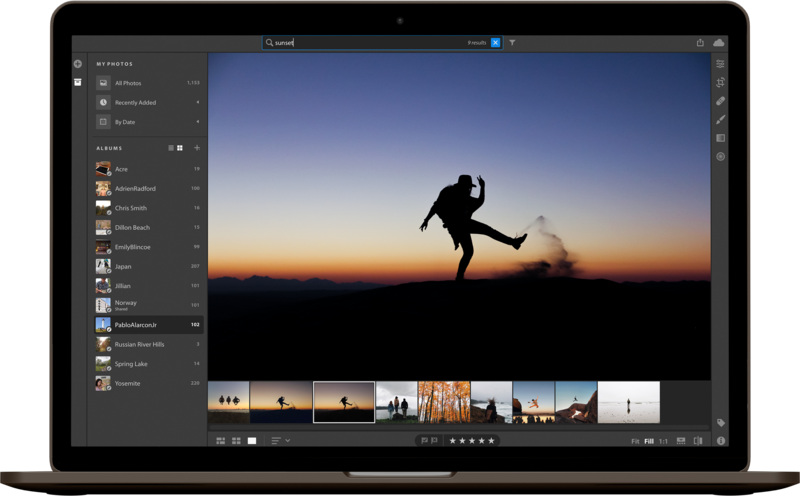 The new Lightroom puts an emphasis on ease of use and cloud connectivity while the old version focused on hard drive-based storage and spawned a cottage industry of YouTube explainers. I have little doubt that this move will create tremors in the photography community, but let’s get this right out of the way: the Lightroom you currently love (or hate) isn’t going away. It’ll be rebranded as Lightroom CC Classic and Adobe promises that it’ll keep investing in it. Indeed, to underline this point, the company is launching a new version today that, among other things, promises significantly improved performance with faster preview generation, for example. 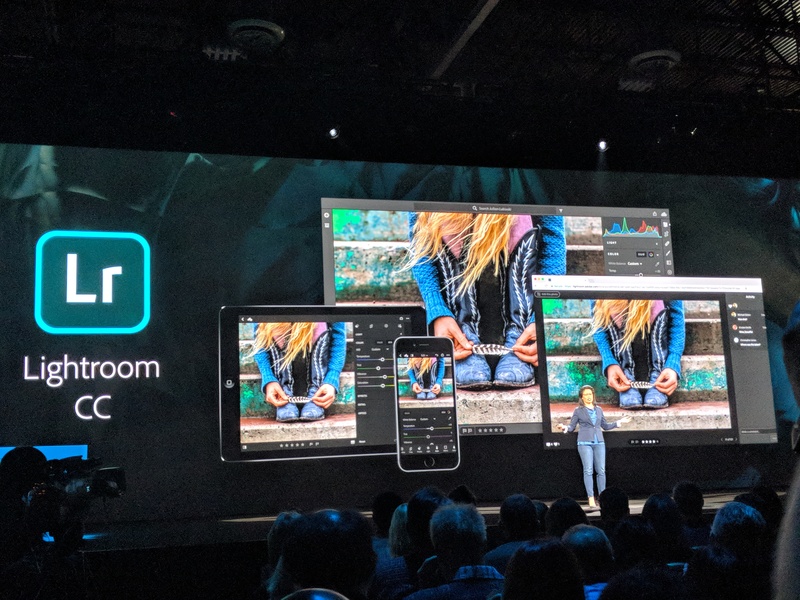 Adobe director of product management Tom Hogarty tells me that the general idea behind this move is to allow Lightroom to adapt to the new reality of photography, where users tend to take a lot of their photos on their phones — and take a lot more images in general. “We’ve seen a big shift where everybody has a high-quality camera in their pocket,” he told me and noted that what users want today is a powerful tool that allows them to communicate but doesn’t require them to spend a lot of time to learn. The result of this is the new Lightroom, which — depending on the plan you choose (more about that later) — allows you to save up to a terabyte of your images in the cloud. This library in the cloud then allows you to access all of your images on all of your devices. The company had previously made some steps in this direction, but it’s now going all out. And because these images now live in the cloud, Adobe can also use its Sensei AI platform to automatically scan and index these photos to make them easily searchable, for example. If you’re a current Lightroom CC user, then moving to the new Lightroom (which can automatically import your existing libraries when you install it) will feel a bit disorienting. The team pared down the interface to its bare minimum, for example. In the old version, you’d switch between your libraries and the “develop” module to edit your images. That transition is now gone. Indeed, gone are the links to the “library” and “develop” modules (as well as those to the “map,” “book,” “slideshow,” “print” and “web” modules that nobody ever used anyway). 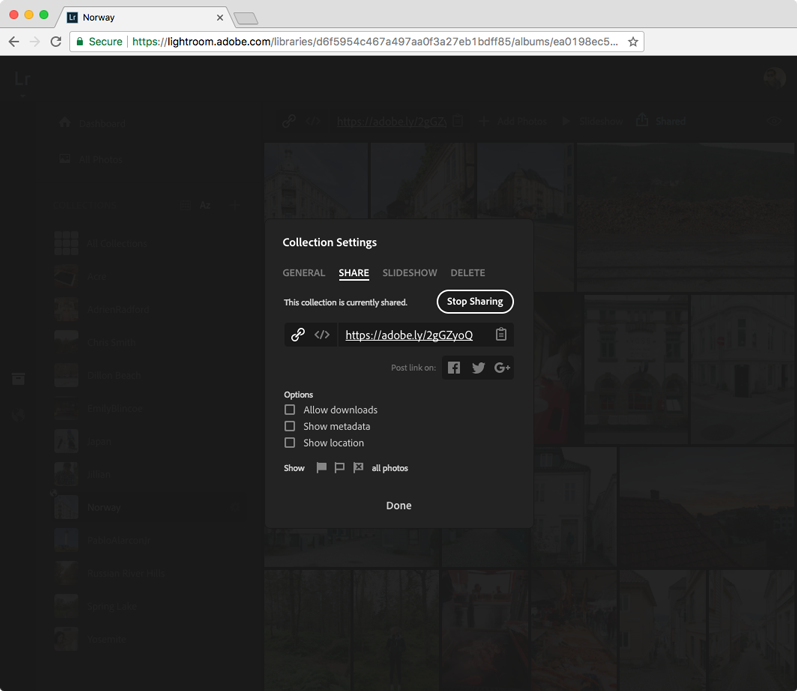 In the new Lightroom CC, you simply move between different views (grid, square grid and detail) and whenever you select one of the edit tools in the right sidebar, you’re automatically taken to the detail view with your full-screen image. Gone are the arduous import procedures that asked you where you wanted to save your images, how you wanted to tag them and similar questions. That import dialog alone spawned hundreds of how-to articles and YouTube videos. Now, you simply select your images, hit “add photo” and you’re done — because it doesn’t really matter where you store your photos. And you can still organize your photos into albums, too, of course — and those albums are now easily sharable, as well. In your preferences, you can still change the default location of where you want to save your images, but the focus here is actually on how much of your local space you want to dedicate to Lightroom. Adobe, of course, knows that you’ll likely want to keep certain images local — and you can always do that, too, but the focus here is clearly on the cloud. 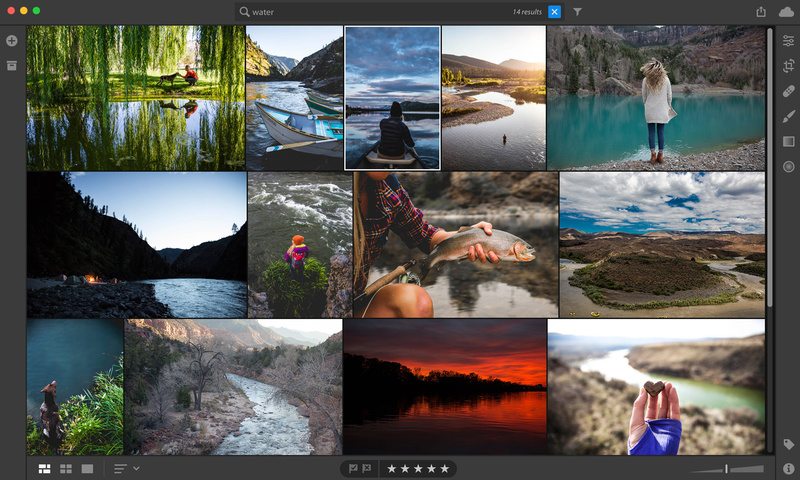 As for its user interface, the new Lightroom CC takes its cues from Adobe’s mobile apps. “We’ve spent over three years maturing these solutions,” Hogarty noted, and added that one of the most exciting new features the company added this time was the ability to take raw images with your phone — which is the foundation of Lightroom’s power. As noted above, all of this is backed by cloud storage. Current Adobe CC Photography plan users (who pay $9.99/month for a bundle of Lightroom, Photoshop, Spark and Portfolio) will get 20GB of online storage. For an additional $9.99/month, they can get the full terabyte of cloud storage (though for the first year, current users only pay $14.99 for the full bundle). What’s interesting, though, is that Adobe is also recognizing that a lot of its users only want access to Lightroom. For them, the company is launching a new dedicated Lightroom CC plan for $9.99 a month, with 1TB of storage and access to Portfolio and Spark. Oh — and if you were hoping for an updated non-subscription version of Lightroom, abandon all hope. Lightroom 6 will be the last stand-alone version of Lightroom that you can purchase outside of the Creative Cloud membership. It’ll be available for the foreseeable future, but there will be no Lightroom 7, and Lightroom 6 won’t see any updates or bug fixes after the end of 2017. Looking at all of these updates, it’s clear that Adobe is trying to react to the changing landscape of photography. There is still a sizable number of enthusiasts who carry their mirrorless Sonys and Canon DSLRs with them at all times, but that market is shrinking and the future is in mobile photography. There, however, it’s up against the likes of Google, which offers a set of pretty compelling tools to store, search and manipulate images. By keeping Lightroom Classic around, it’s not forcing anybody to change their ways, but the new version will open up the service to a whole range of users who would’ve liked its capabilities to take their photography to new levels but were previously intimidated by the complexity of Lightroom.